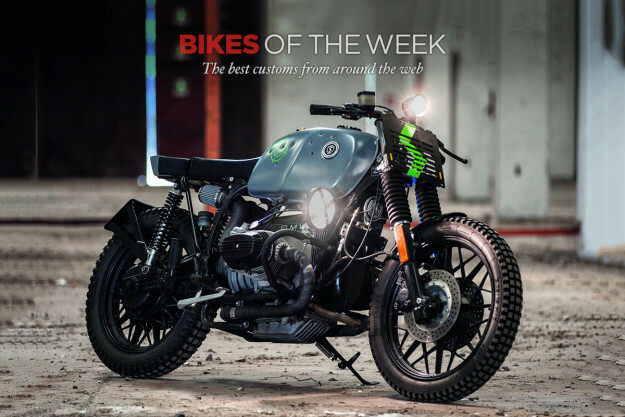 A bullet-ridden BMW from Sicily, a stunning Honda cafe racer from GT-Moto, and Ducati Scrambler tweaked an an Italian eyewear company. These are the bikes that got our motors running this week. 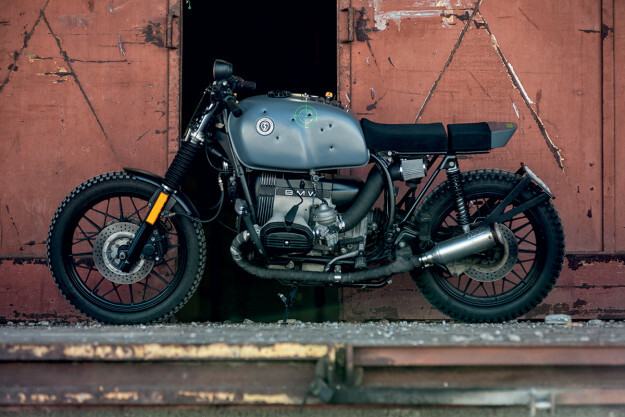 BMW R100 by Svako Motorcycles Apocalyptic and unorthodox: Those are the first two words that come to mind when I see ‘Sbang,’ a BMW from Sicily-based Svako. This is especially true when you compare Sbang to the last BMW we saw from Svako, a gentlemanly Paris Dakar replica. Some may turn up their noses to the aesthetics of a bullet-riddled tank, but not me. Touches like that—and yes, they are real bullet holes—and the Heidenau K67 tires show that this is a bike built to be ridden hard. But that doesn’t mean it lacks finer detail. All of the wiring is hidden within the pock-marked tank, ahead of the fuel cap, which was fashioned on a lathe from an old flywheel. 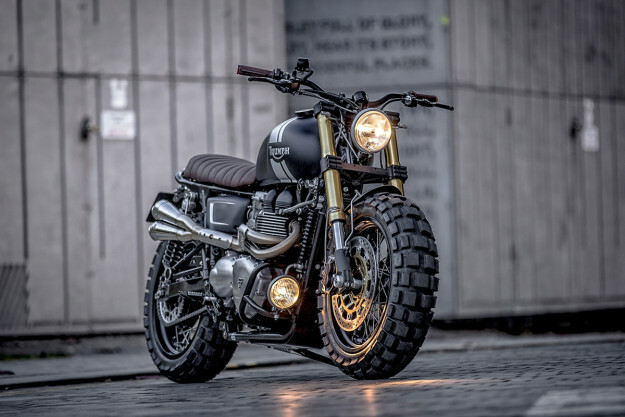 Triumph T100 from Down & Out Cafe Racers Shaun and Carl from Down & Out Cafe Racers have an obsession with stance. The signature wide-tired style of the Yorkshire, England shop is aggressive and brash—a little like the lads themselves. So it’s no surprise that when Shaun put together a bike of his own, he worked his fingers to the bone to shoehorn in the 180-series rubber. 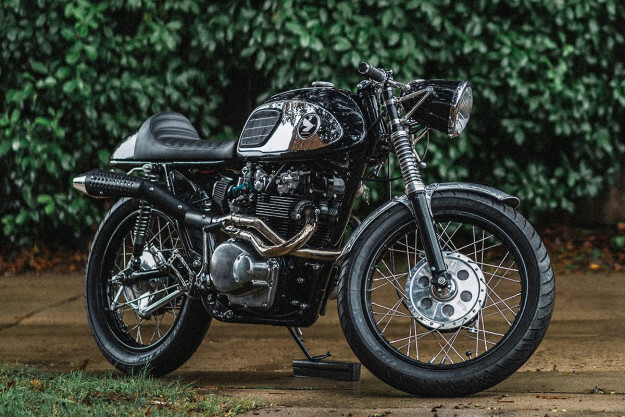 GT-Moto’s Honda CB450 There is little doubt that Sofi Tsingos is one of America’s most talented builders working today. We were still drooling over the BMW R75/5 she and her father created when this CB450 popped up. Palatina Dreambikes T15 With the rebirth of Triumph’s Bonneville lineup, the British marque’s ‘modern classics’ have returned to liquid cooling. Prior to the Bonneville’s resurrection in 2001, Hinckley’s Thunderbird and Legend TT models were powered by a liquid-cooled, 885cc triple. 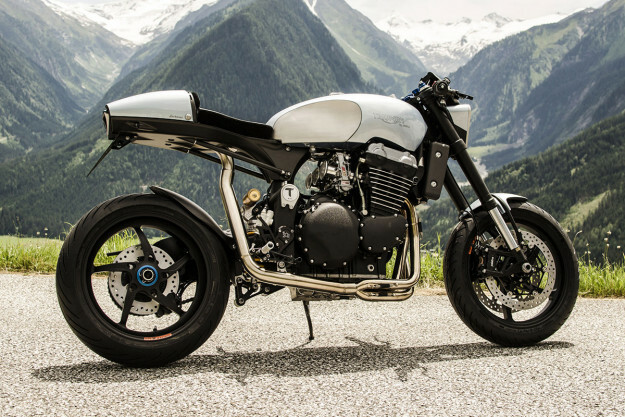 This bespoke cafe racer, the T15 from Germany’s Palatina Dreambikes, is a stunningly detailed build that honors those Bonnie-less years. 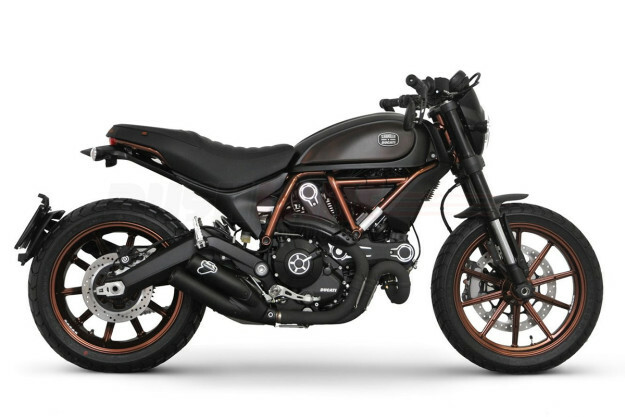 Ducati Scrambler limited edition The Ducati Scrambler is a runaway success. It has power and agility at the right price—making it a no-brainer for riders seeking simplicity and fun. In the looks department though, not everyone has been on board. So the eyewear company Italia Independent has partnered with Ducati to tweak the visuals just a little. And the result is a knockout. Even better, this build isn’t a one-off: just over a thousand units will be made.